Arlene Francis began her acting career working with the Mamoulian Theatre Guild and later as a member of the Orson Welles' Mercury Theatre. She worked in radio on the highly successful show, "What's My Name?" Her work in television started with the program "Blind Date." In 1950, Francis became a panelist on TV's "What's My Name?" NBC recognized the charm and wit of Francis and appointed her mistress of ceremonies of its extravaganza "Home" from 1953-1957. Francis didn't confine her talents only to radio and TV. She has appeared in many plays including stints on Broadway in "Tchin-Tchin," "Beekman Place" and the 1966 revival of "Dinner at Eight." She appeared in the movies "One, Two, Three" with Jimmy Cagney and "The Thrill of It All" with Doris Day and James Garner. New York Timesdrama critic Clive Barnes has called Francis "a comedienne of great talent and versatility" and has praised her "supreme naturalness." Francis said that she has lived by the simple philosophy, "Give your best and your potential will surprise you. The higher you reach . . . the higher you will go." He began to compose at the tender age of four. By age 73, he had written over 500 significant musical works, including over 50 symphonies. He has been commissioned to write music for such greats as Yehudi Menuhin, Leopold Stokowski and Jean Pierre Rampal. 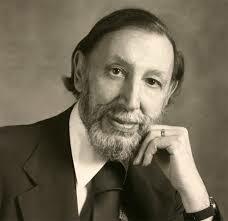 With such credits to his name, it is easy to understand why Alan Hovhaness is called a musical genius. He is considered an extraordinary versatile composer as he can successfully write for almost any combination of instruments. One critic wrote, "No other American composer of his generation has absorbed the breadth of musical history as he has nor been so temperamentally equipped to express his response to it so naturally." Hovhaness has always had an interest in Armenian music and this led him to explore the entire world of Oriental music. His love of the Orient and its music has been incorporated in his own compositions which blend the western musical traditions with, the eastern musical ideas. Hovhannes once said, "I want to create a world of endless melody. Something very beautiful which also is healing to the human spirit." One only has to listen to a Hovhannes piece to realize he has accomplished this goal. Alex Manoogian arrived at Ellis Island at 19 and settled in Bridgeport, Connecticut. He began working as a machinist in 1924 at a screw machine factory, learning about metalworking and the tools involved.Five years later, along with 2 partners, he founded Masco Screw Products Company which sold screw products to automobile manufacturers. The company was listed on the Detroit Stock Exchange , but its real success was still to come. The idea of a single-handle faucet had arisen, but it soon faded because it simply didn't work. Manoogian, however, continued to study the idea of a faucet which would permit one-hand control of volume and temperature and that didn't need a washer. He pinpointed the flaws and redesigned the faucet from scratch. Sales of the faucet, under the Delta label, soon exceeded $1.000.000. Manoogian's son, Richard succeeded him as President in 1972, and a year later the company was listed on the New York Stock Exchange. In 1976, Richard was selected as one of 64 outstanding chief executives in the U.S by Financial World Magazine. The elder Manoogian had served as the life President of the Armenian General Benevolent Union and had contributed generously to various charitable organizations and educational institutions. Gorky. "I deliberately remain mysterious because stark designs and patterns would not express the truth of my horror that humanity can be cruel" born Vosdanig Adoian in Armenia in 1905, Gorky suffered through the Turkish massacres before arriving at Ellis Island in 1920. He was considered the founder of American abstract expressionism and one of the most important painters in the 1930's and 40's. He was at the height of his career when he took his own life in 1948. Many of his paintings reflected the memories of his youth which haunted him throughout his short life. One such painting, "The artist and his Mother", which hangs in the Whitney Museum of America Art, illustrates pain and suffering through the large, sad eyes of his subjects. "My deepest emotions about my family and my race inevitably influence my work." he said. When the movie "Silkwood," starring Meryl Streep came out in 1983, few people could believe their eyes when the name Cher appeared in the opening credits. Some even laughed at the thought of Cher in a dramatic role. But when the Academy Awards rolled around the next year, it was Cher's turn to laugh... she had been nominated for best supporting actress. The Cher in "Silkweed" had come a long way since the days of Sonny and Cher.? Her acting career began with the Broadway production and later movie version of "Come back to the 5 and Dime, Jimmy Dean." This was followed by "Silkweed" and then "Mask," where she portrayed a tough motorcycle-gang member and mother of a deformed son. The critics were speechless. She took an about-face with her next movie, "The Witches of Eastwick," in which she played a woman with special powers. In "Suspect," she played a public defender. Cher won the Oscar for Best Actress for her role in "Moonstruct." It shouldn't be surprising that she has chosen to play such diverse roles; Cher, whose father was Armenian, is known for her ever-changing image and dress. "I have the most opposite personalities that could possibly live in one body," she admits. "If I had been talented in art, I would have painted. I can't. So I like to be artistic in the way I look and dress." she explains. service for combat troops in Korea. For his "selfless devotion to his mission and his singular accomplishments" to the success of the Armed Forces, Mardikian was awarded the Medal of Freedom, the country's highest civilian award. A portion of the citation reads, "with vigorous energy, keen powers of observation and analysis and a dynamic personality, he enlisted the enthusiastic interest of commanders and soldiers alike in the preparation and service of food under varying conditions in the combat zone." Mardikian would accept no pay for his services. At age 15, he had been imprisoned in Turkey. He escaped and sailed to America in steerage at age 18 and was soon working as a dishwasher in a San Francisco speakeasy.. He eventually bought the place and built it into the renowned Omar Khayyam restaurant. "I was born on November 7, but I celebrate my birthday on July 24" he said. "That's the day I began to live, the day I saw the Statue of Liberty." There are many in the sports world who consider him one of the best collegiate basketball coaches in the country. One look at the statistics Jerry Tarkanian has complied in over twenty-five years in the game tells it all and there are few, if any, doubters left- he is an amazing coach. Tarkanian began his collegiate coaching career in 1961 and during the next eight years compiled an enviable record of 212-26 while at two junior colleges. In 1968 he went to California State-Long Beach and began the process of turning the team into winners.While there, his team never lost a home game. His five-season record at Long Beach was 122-22, including four trips to the NCAA playoffs. By 1973, Tark the Shark, as he his called by rival coaches, was becoming famous for his ability to turn losers into champions and many major universities were vying for his talents. The winner was the University of Nevada - Las Vegas. In fourteen years as head coach. Tarkanian led the Runnin' Rebels to the NCAA playoffs eight times, including the last five-in-a-row. His record of 479-103 while at the major college level makes Tarkanian the winningest active basketball coach in the nation. of aircraft that has lasted all of his life. When the war ended, Kerkorian remained in the skies. flying gamblers to Las Vegas in a surplus B-26 bomber. In 1948, he founded Transinternational Airlines which he operated until 1968 when he sold the airlines and cashed in his investment for $104 million. Hilton Hotels Corp. Chairman Barron Hilton noted that one of his greatest mistakes was now becoming Kerkorian's partner in Transintermational Airlines. With his profits, Kerkorian purchased Western Airlines and served as director and major shareholder from 1969 to 1976. In 1986, plans were announced for an all-first class carrier, MGMT Grand Air, which would operate Between Los Angeles and Newark. New Jersey and later extend its routes to London. Over the years, the financier has also had extensive holdings in casinos, hotels and movie companies His reclusive ways have angered some shareholders, but those who have stuck with the high-stakes investor usually make money. Kerkorian must know what he is doing as his wealth is estimated at over $600 million, placing him in the top 75 on Forbes magazine's list of the 400 richest Americans.